The chief executive of an online payment service for schools has been named the region&apos;s top entrepreneur. Clint Wilson, who joined ParentPay 13 years ago, has been crowned Midlands entrepreneur of the year by financial services EY at its annual awards. ParentPay is a web application which allows parents to make online payments for school items such as meals, trips and uniforms. Mr Wilson won the scale up award at last night&apos;s ceremony in Birmingham before being chosen from the other category winners to be crowned overall entrepreneur of the year. He was described by judges as an inspirational individual who had spotted an opportunity and created a new market. The judges said they were particularly impressed by the huge growth of Coventry-based ParentPay, having doubled in size in the last two years, and the rate at which the business was growing internationally. 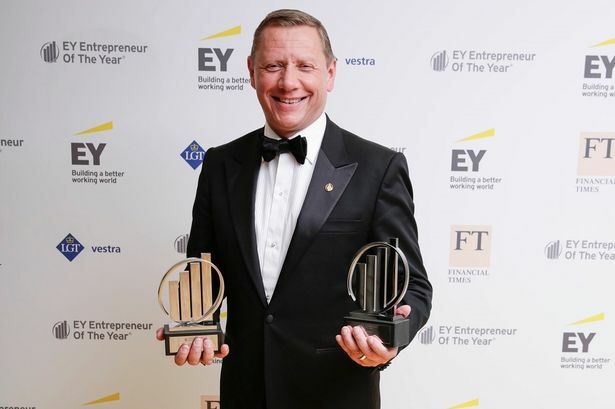 Neil Meredith, EY partner and awards leader in the Midlands, said: "ParentPay has grown into a dynamic, innovative and inspiring business under Clint&apos;s leadership. "Having joined the business in 2005, he&apos;s shown himself to be a true entrepreneur by growing ParentPay to be the UK&apos;s leading online payment service for schools. "His business has doubled in size and now services three million parents and 8,000 schools. "We are delighted to have him as our Midlands entrepreneur of the year in 2018."